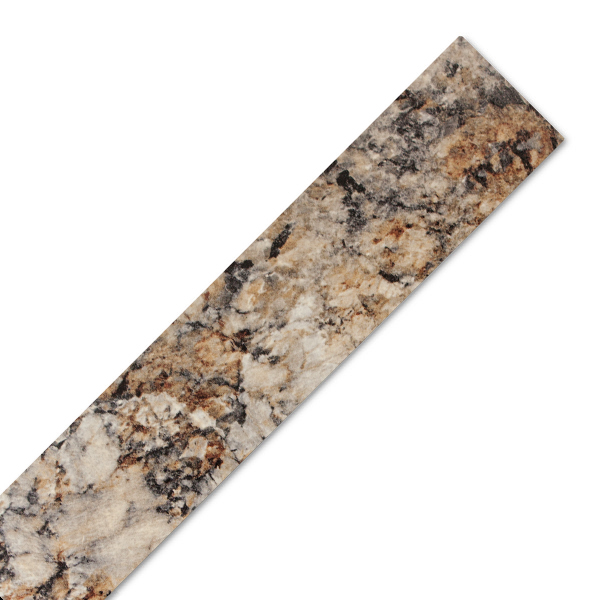 If you would like to cut your Winter Carnival laminate work surface or splashbacks on-site, our granite effect laminate edging strips are ideal for refinishing any exposed edges. This granite laminate worktop edging strip can be fitted to your worktop with PVA or another suitable adhesive. Once the glue had dried, the granite effect edge trim can be cut down and gently sanded until flush with the edge of the worktop. Our Winter Carnival edging trim measures 1300mm x 44mm and can be used to cover a variety of unfinished worktop edges.